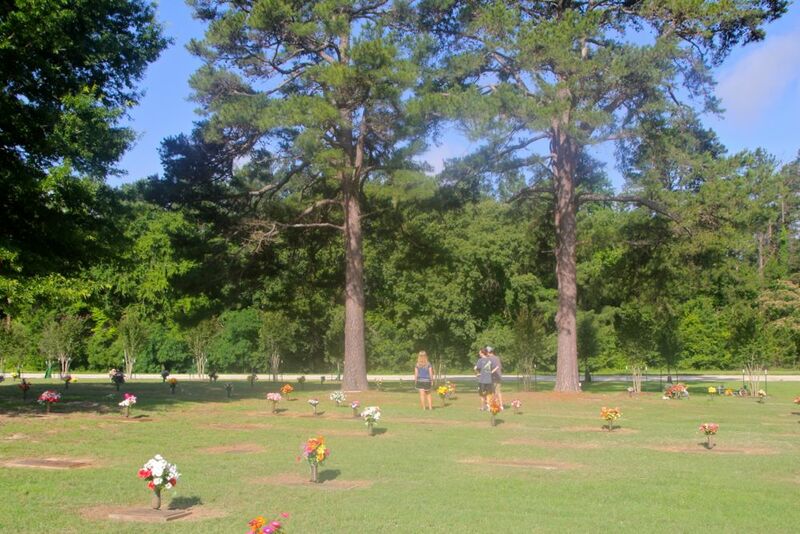 See-Dub: Tyler excursion, day 2: Cemetery. 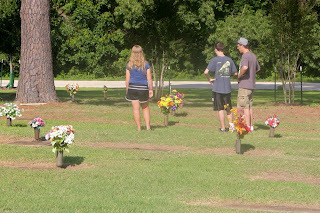 After our hotel breakfast Tuesday, we drove the short distance to the cemetery. 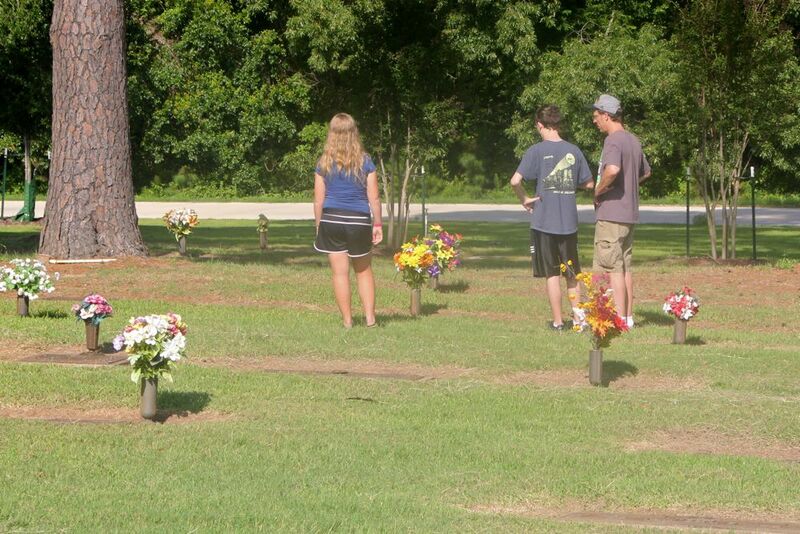 This was my main motivation for this trip; we hadn't been here since the graveside service in August. 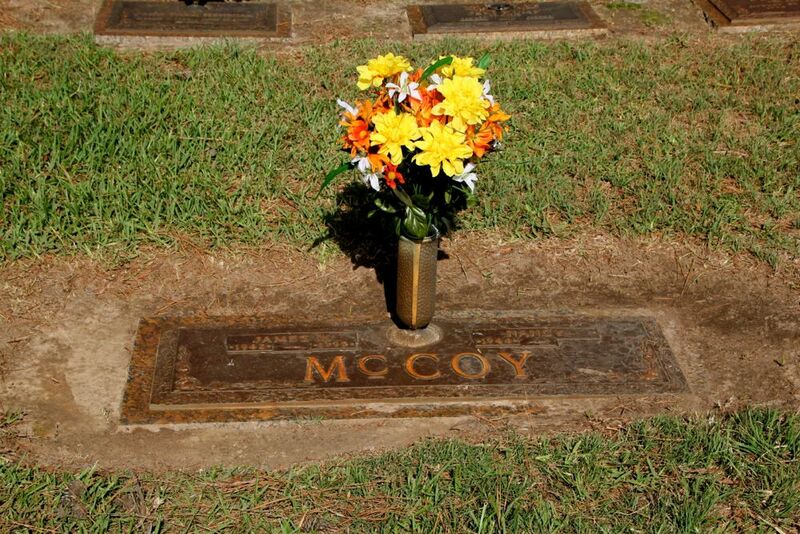 We replaced the faded flowers with these brighter ones. (Of course, we had to have some orange blooms in there!) I was disappointed to see that the "2012" date plate still isn't there; guess I'll be making a call! 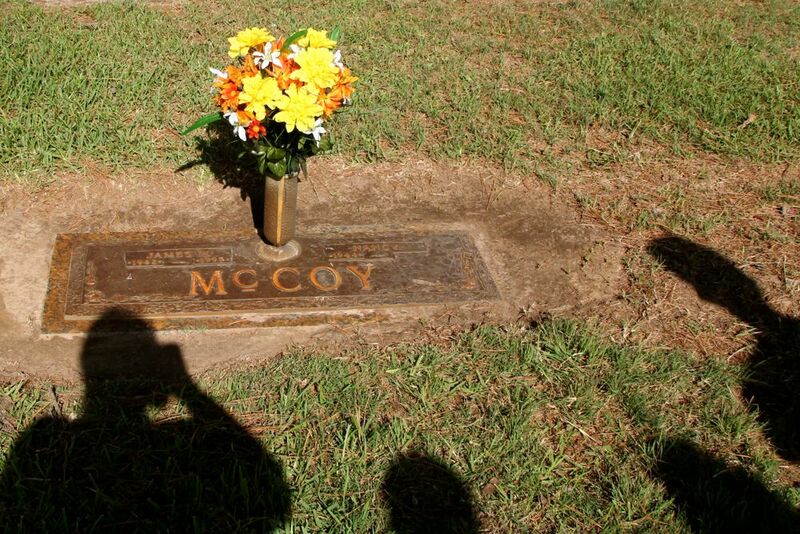 It's sobering to think that not even a year ago our foursome was here to see Daddy's grave, and now Mom is buried beside him. Even though this cemetery is right off a busy Tyler street, it still seems really peaceful. I love that we can always see and hear birds when we visit. And now for a quick flashback: Not long before we moved to Tyler in 1974, Mom, Daddy and I were in town to get our bearings. We were fascinated by all the pine cones on the ground. 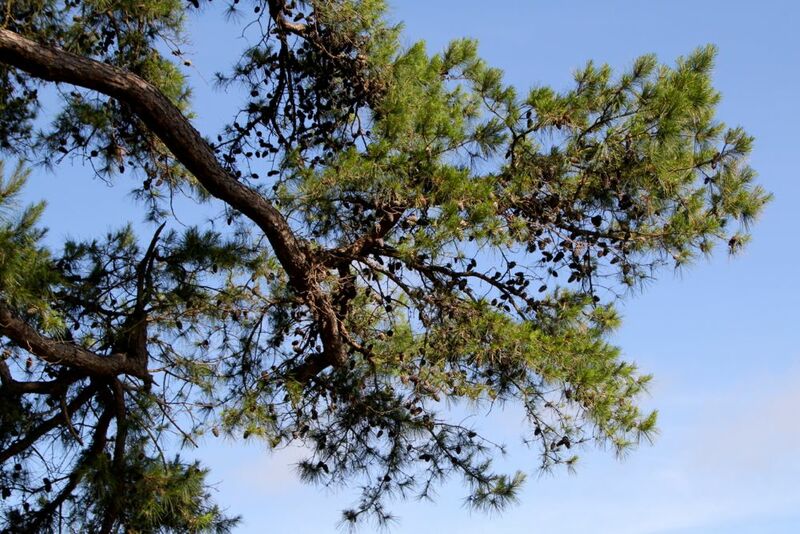 We never saw pine trees in the Rio Grande Valley where we lived at the time, so pine cones were foreign to us. Mom was inspired to fill a couple of bags with cones to take home to her kindergarten students and my classmates back in Premont. I can still picture my mom, scavenging for pine cones in the grass near our hotel room. As we stood at the my parents' graves, I looked up to see this towering pine, overloaded with pine cones! Perfect. What a blessing it was to have this moment to honor my mom and dad—and to have my sweet husband and kids there to help dry my tears!